I mostly review books here, but you may find some short stories along the way. Posted March 9, 2017 by Tim Lepczyk & filed under Reviews. Posted April 7, 2015 by Tim Lepczyk & filed under Reviews. Posted February 12, 2015 by Tim Lepczyk & filed under Reviews. Posted January 7, 2015 by Tim Lepczyk & filed under Reviews. Posted January 6, 2015 by Tim Lepczyk & filed under Reviews. Posted December 17, 2014 by Tim Lepczyk & filed under Reviews. Posted August 4, 2014 by Tim Lepczyk & filed under Reviews. Donna Tartt’s The Goldfinch left me conflicted. As I grew to dislike the main character, Theo Decker, I wanted to dislike the novel. Theo’s father is a gambler and it seems like an apt metaphor, did Tartt overplay her hand at the end of the novel? Does she manage to bring the reader to a point where they’re satisfied or is there a sense she’s walking away from the table after losing? One issue with the novel is the pacing and length. Sections that move the plot forward go on far too long and seem poised to counterbalance the length of time spent on Theo’s adulthood. 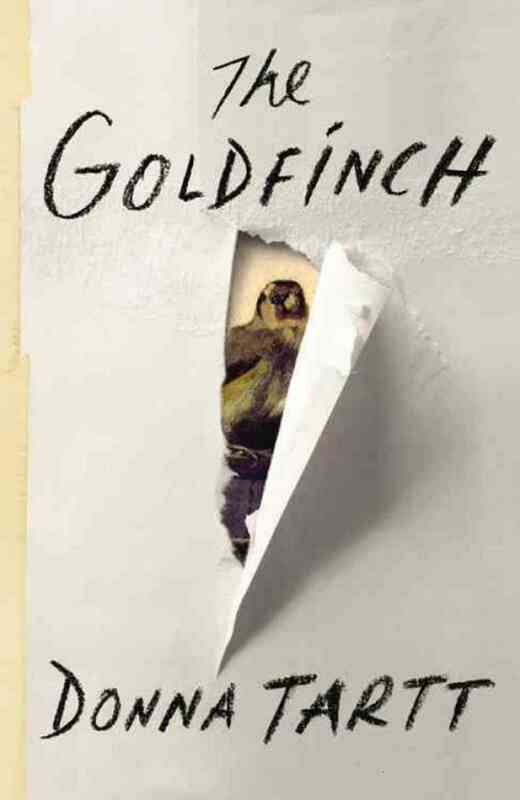 What I enjoyed about The Goldfinch was Tartt’s use of a first-person narrator. Theo Decker goes through massive trauma. It’s his story and, for the most part, he seems reliable. Yet, Theo isn’t introspective. He tells us of events. Describes things that have happened. Yet, never looks at himself too hard. It’s only when events rise to a confrontation that we see Theo in the way that other people see him. He doesn’t cover his drug habit as well as he thinks. He’s far seedier than he believes. The lies he tells are not as well-developed as he believes. Is it his trauma and constant drug use that cause his overconfidence or lack of awareness? I read it as a side effect of his addiction. He believes in this persona and is surprised to learn people have seen past it. Tartt sets up The Goldfinch by creating massive amounts of sympathy for Theo. His mother is killed in an explosion, a terrorist attack on an art museum. Theo survives. His deadbeat father left and his parents divorced a year earlier. No one can track the father down. His grandparents don’t want Theo. Theo is all alone except for a rich family that takes him in temporarily. Can it get worse? In fact, it does. In the first two-hundred pages, Tartt elicits a mountain of sympathy from the reader. Poor Theo, we think. If the novel followed an arc we’re accustomed to, Theo would turn things around. The novel would follow a pattern like that of Great Expectations or David Copperfield. Tragedy would meet with triumph. However, Tartt tacks in the other direction. Tragedy compounds tragedy. Years skip ahead and we see Theo as a young adult taking advantage of people, lying to his friends and addicted to painkillers. There is no beacon of light. At the end of the novel, Theo almost redeems himself. He’s made a decision, but events stop him at the last instant. While Theo seems to be making up for his misdeeds, he gets away with so much more. It’s his friendship with Hobie that stays intact, while everything else crumbles unsaid. Theo is not happy. But, Theo is rarely happy. He continues to view life through depression and loss. And it’s unclear what keeps him going. All of the sympathy the reader lost for him isn’t regained. If I ask myself, so what? Who cares about Theo Decker? Why am I invested in him? The answer I receive, is that I’m not invested in him. I don’t care about Theo. For some readers, Tartt may have gained them back at the end; however, the narration and editorializing felt like an over-correction. Tartt is trying hard at the end, but it may not work. Theo’s voice feels less like his and more like someone else’s. Is Theo like the next moment after a still life’s been painted? The ripeness gone rotten? That’s how I read it. There was a moment, after his father left and when his mother was still alive, that Theo was happy. He was safe. He was cared for and loved. After the explosion that moment was lost. Theo is not heroic. He’s a sad kid who grows up to be a drug addict. But in thinking of sympathetic drug addicts (Jesse from Breaking Bad or Dan from Half Nelson), Theo does not fit into that mold. It’s unclear if he wants to change. He isn’t hopeful. Life doesn’t hold promise for Theo. So, what are we left with? What we’re left with is an entertaining novel that takes us somewhere unexpected. Along the way, we learn to appreciate well-made furniture, antiques and fine art. Love and warmth are displayed through the compassionate character, Hobie, who becomes a surrogate parent of sorts. Reckless loyalty is found in Theo’s friend, Boris, kind of a Han Solo-esque character. And perhaps, it’s enough to just get by. Theo endures and maybe, for him, that’s a victory of sorts. Posted July 29, 2014 by Tim Lepczyk & filed under Reviews. 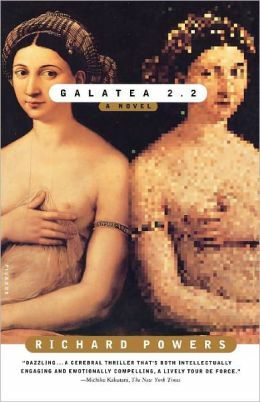 Richard Powers’ Galatea 2.2 is part science-fiction and part metafictional memoir. Unfortunately, in the twenty years since its publication, computer technology and neuropsychology have advanced to the point where Powers’ novel feels dated and quaint. However, the more interesting parts of the novel are the main character’s, also named Richard Powers, memories of his failed relationship with a woman known only to the reader as C. The artificial intelligence that Powers and Dr. Lentz work to build serves as a repository for Powers’ reflections and spurs him toward further thoughts of C. We see the arc of a relationship as Powers and C meet in university. We see how writing played an important role in their relationship, with Powers creating a world specifically for C. When that world is published as a novel, what was once intimate becomes open to the masses. The audience for Powers’ novels was always C. What does it mean when that audience then becomes everyone? In this way, something enters their relationship. It’s not another woman, but it’s something that breaks their bond. There were times when I loved reading this novel and there were sections I struggled to get through. Ultimately, it’s a smart novel about love and memory, but it feels bogged down by its obsolete technology.